IPCNY complements its exhibitions with guided tours, demos, and workshops for groups of all levels to learn more about the unique role that fine art prints play in disseminating information and ideas. From first-time introductions to the medium to deeper insights on particular practices and movements, our programming can be tailored to meet the educational needs and interest level of each group. Please note that if you would like to do a hands-on workshop it is recommended that you visit for 60-90 minutes. To contact IPCNY for a group visit, please fill out the form at the bottom of this page. Led by a trained artist educator. Following a short tour the exhibition, children learn about techniques such as woodblock, etching, engraving, and silkscreen and engage in kid-friendly printmaking activities. Exhibiting artists or artist educators, depending on availability, give an in-depth exhibition tour followed by a discussion of new and unique techniques featured in the show. Students also learn about opportunities, including internships and open calls, at IPCNY and at neighboring institutions. Adult groups may request in-depth exhibition tours tailored to their particular interests or professional practice. Depending on availability, IPCNY staff, exhibiting artists, curators, or printmakers may lead the tours or give presentations. 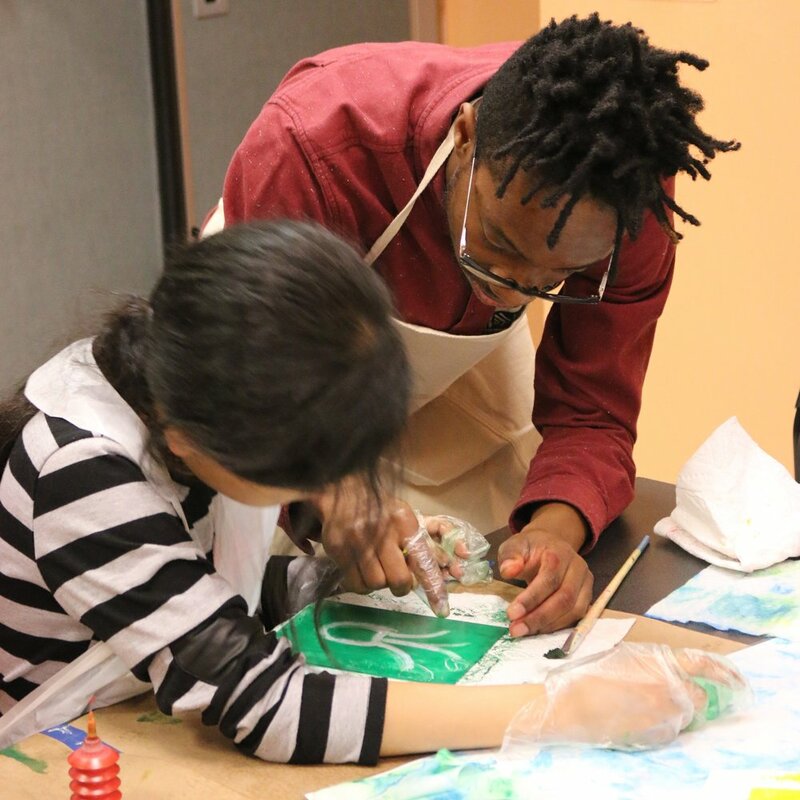 Since 2015, IPCNY has partnered with the Stanley M. Isaacs Neighborhood Center in Harlem to offer three annual printmaking workshops to elementary school children in its after-school program. We are open to new partnerships! Reach out below.